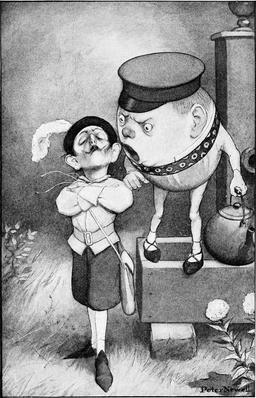 Alice et Humpty Dumpty : "I said it very loud and clear; I went and shouted in his ear", illustration par Peter Newell, "Through the Looking-Glass and What Alice Found There", chapitre "Humpty Dumpty", page 124. 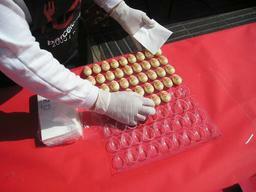 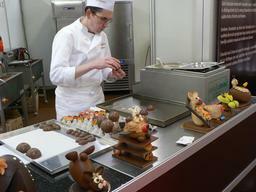 Chocolatier assemblant des moitiés d'oeufs en chocolat, Foire Choco-Laté de Bruges en Belgique. 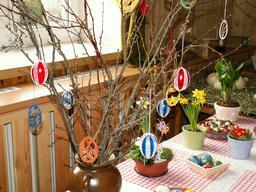 Deux oeufs en chocolat décorés, fête de Christophe Colomb (1450?-1506) à Barcelone en 2005. 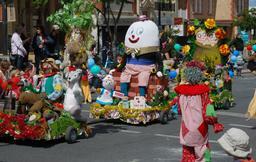 Humpty Dumpty au défilé de Noël de Norwood en 2008, Adelaide, Australie. 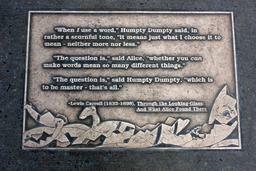 Humpty Dumpty d'Alice au pays des merveilles, Library Walk à New York City, USA : "When I use a word," Humpty Dumpty said, in rather a scornful tone, "it means just what I choose it to mean—neither more nor less." 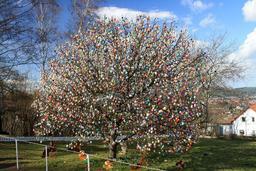 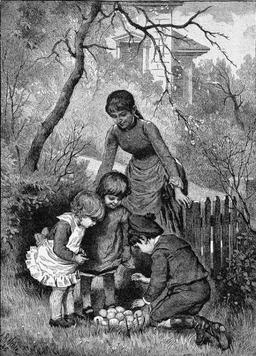 "The question is," said Alice, "whether you can make words mean so many different things." 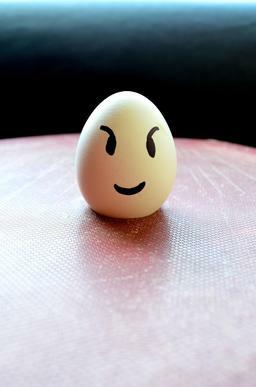 "The question is," said Humpty Dumpty, "which is to be master—that's all." 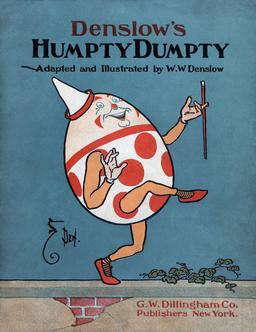 Couverture de l'adaptation de 1904 de "Humpty Dumpty" par William Wallace Denslow (1856–1915). 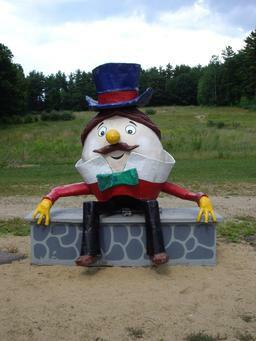 Humpty Dumpty en carton mâché, à Funspot, Angola, Indiana, USA. 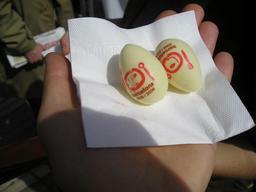 Boite d'oeufs de Christophe Colomb en chocolat, Barcelone 2005.